How Far is Gharonda Jyothi? 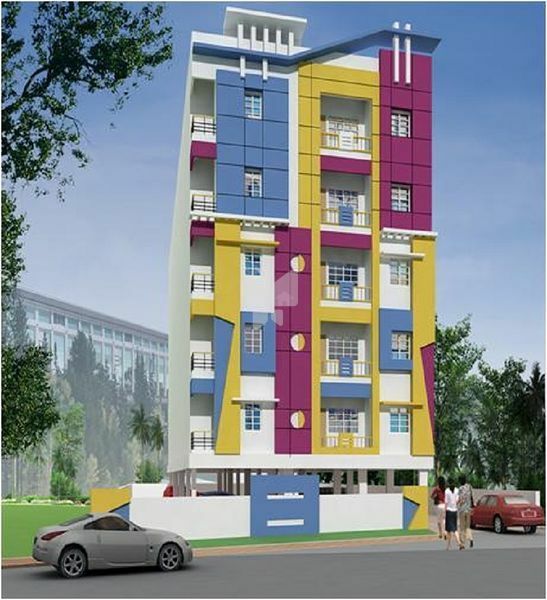 Gharonda Jyothi is one of the popular residential developments in Padma Rao Nagar, neighborhood of Hyderabad. It is among the completed projects of Gharonda Builders & Developers. It has lavish yet thoughtfully designed residences. R.c.c. frame with 9” thick outer walls & 41/2” thick partition walls with two coats of plastering with smooth altek / luppum finish. All door frames in teakwood and internal doors with flush shutters of standard make with required number of anodized alluminium tower bolts, aldrop for all doors. Main door with teak frame and teak panel shutter with polish, magic eye, safety chain, night latch, godrej lock with brass fittings. Teak wood frames, glazed shutters and steel grills for security. Granite top cooking platform with 2’-0” high white glazed tile dado. Oil bound distemper for inner walls with choicest pleasing shades sandtex matt for outer walls, enamel paint for wood work, grills. Concealed piping with high quality chrome plated fittings one drinking water c.p.tap in ktichen one wall mixer in bath connection for geyser and shower. 6” border cornice inside the flat. Childrens play area with lawn planter sitting area, slide, jullas, shall be provided as per plan. All bedrooms provided with adequate wardrobe space.